The name of Streakin Six is being discovered in the pedigrees of more and more barrel horses, due to the siring success of his sons and grandsons. 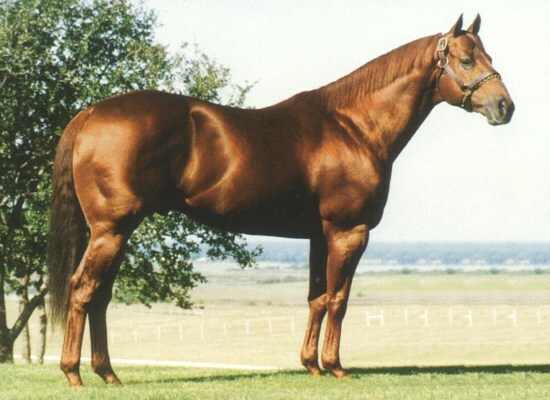 In the Equistat barrel horse leading money winning statistics for 2001, Streakin Six was reported as the number 8 leading paternal grandsire, and the number 3 leading maternal grandsire. And it doesn't hurt his record at all that Charmayne James' great horse, Cruiser, is a son of Streakin Six. After a super year, he and Charmayne 'cruised' to a win in the average that clinched the world title at the 2002 NFR. On the track, Streakin Six earned a speed index of 104, with personal winnings of just under a half million dollars. This 1977 son of Easy Six placed second at the prestigious AQHA All American Futurity as a 2 year old. Streakin Six is a leading sire of racing champions, with his offspring earning more than $17 million. Pensioned since 2000, the champion sire was euthanized on December 14, 2005, due to infirmities of old age at the 6666 Ranch in Guthrie, Texas, where he was last standing.